Memory, Art History, popular culture, the representation of the human body, the attempt to balance opposing tendencies, are the pillars of the construction of my works, but not the point of origin, that is reserved for the search for an interior homeostasis. In an outside world that is shaken by instability, where I am, we are all, forced to live daily with the inconceivable, the possibility of turning to art work is of great value, as if I turned to the soul itself, to an inner safe world. From the contrast of these worlds the resulting works tend to the eclectic combination of multiple references, integrating seemingly incompatible elements and origins often opposed, or reminiscent of an almost lost rurality. My works development happens at the confluence between the fundamental forces of Nature and the place of the human being as an element, among others, of a wider context, between phenomenon and essence, action and result, in a search for symbolic representation of the complexities of life, inserted in a society technically advanced but in growing difficulties in human terms, and of the place that it occupies in the Universe. 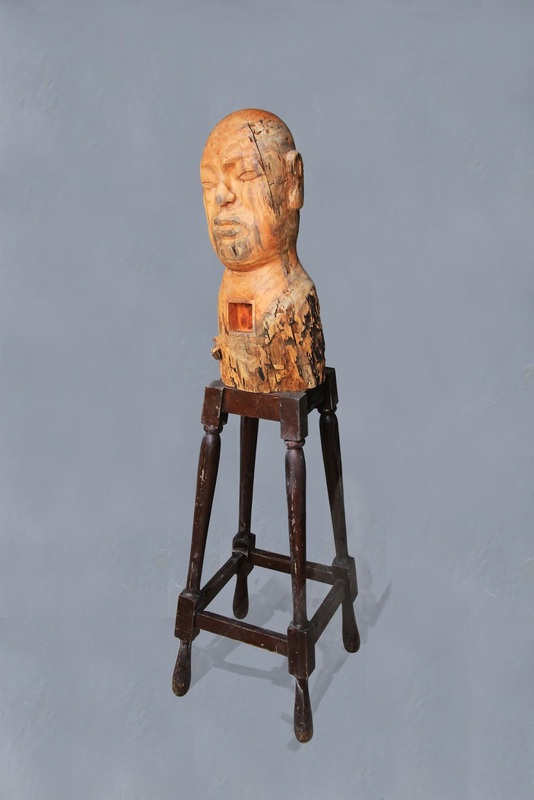 "Heroon," is dedicated to the heroism of the common man, a telluric and ancient man of experience and accumulated wisdom, supported by the four legs of a bench, of industrial production yet inwardly full of reverence for the sacred in Nature. A kind of reliquary of contradictory life experiences.